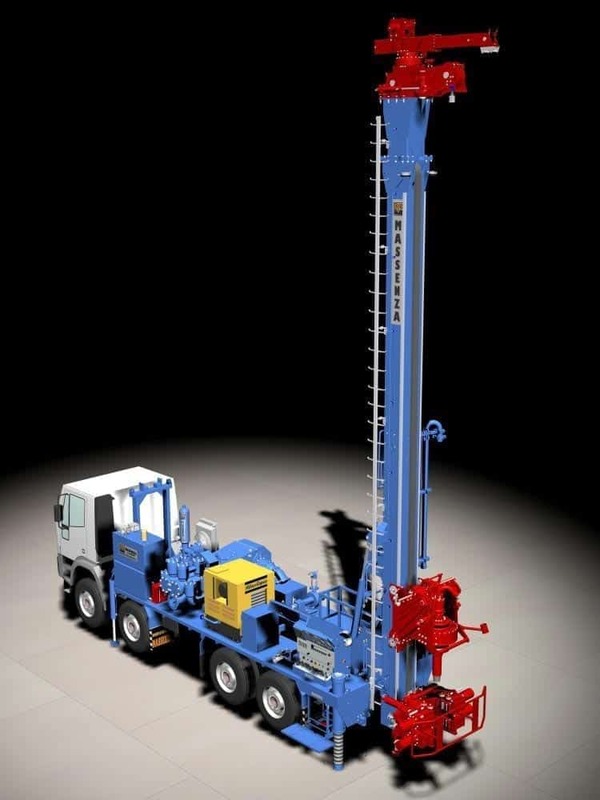 Drilling rig for water wells, mineral explorations, seismic, coring and deep geothermal applications. 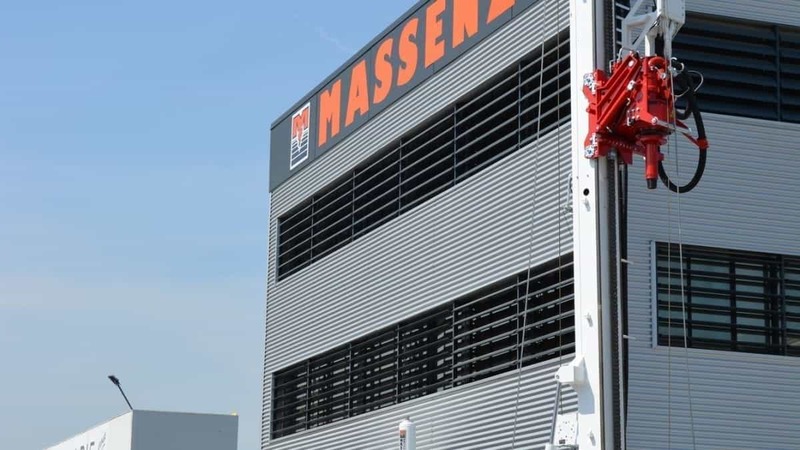 Although its moderate dimensions it has high technical characteristics in terms of pull up and torque: for this reason the rig able to reach high depths (around 800 m). 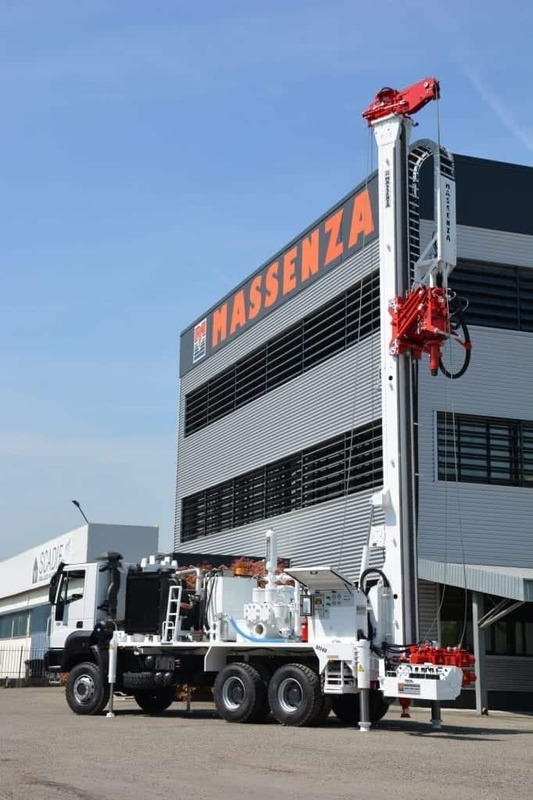 It is possible to work by mud pump 71/2x8 which vastly improves drilling also in bad terrain conditions. 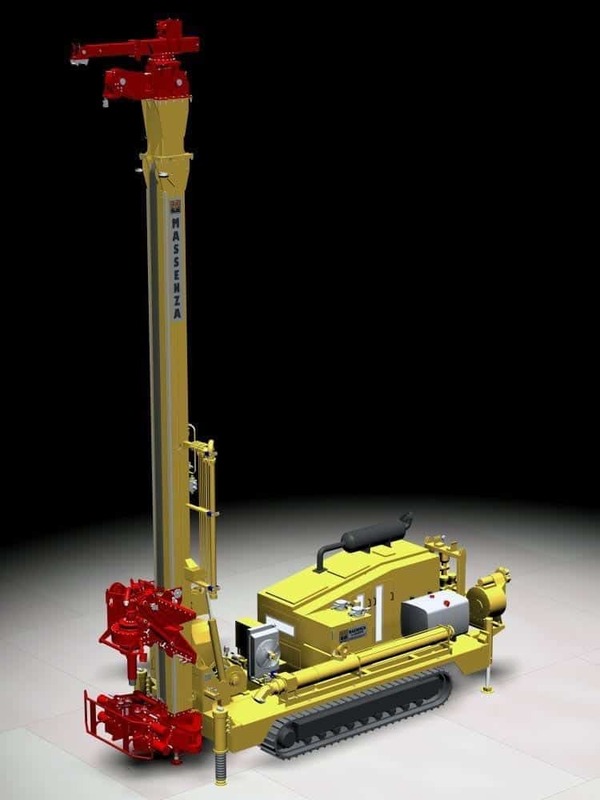 Its versatility permits to adopt various drilling methods: direct and reverse circulation by mud and by down the hole hammer. 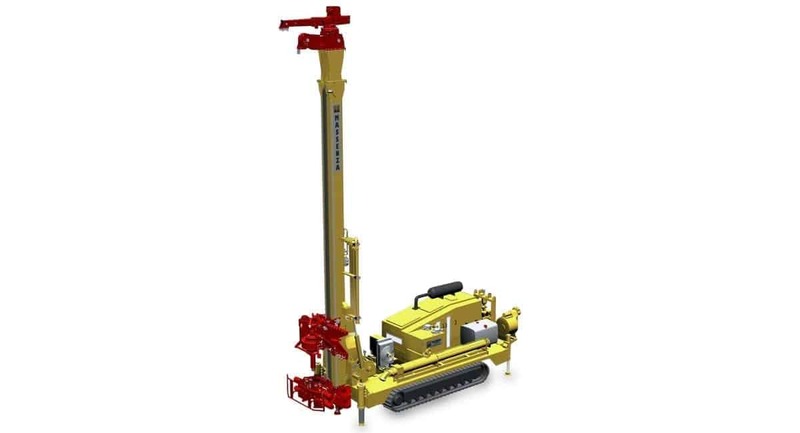 The rig can be either crawler or truck mounted and it can be operated remotely.